Minnesota Valley Lutheran High School, located in New Ulm, MN, recently decided to switch to McREL Power Walkthrough, the research-based classroom observation software offered by Harris School Solutions (HSS). Officials at the Minnesota school felt their previous classroom observation tool was prohibitively expensive and didn’t offer all of the functionality they needed. 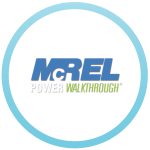 School administrators heard of McREL Power Walkthrough (PWT) from WELS – the Wisconsin Lutheran group to which Minnesota Valley Lutheran belongs – liked the price, and decided to make the change. Ready to change the way your school does classroom observations?